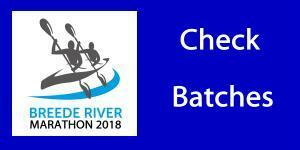 Despite confronting the reality of a low river, a big field of paddlers will contest the 51st edition of the Breede River Canoe Marathon this weekend, with the added lure of national title up for grabs as the event doubles as the SA K2 River Championships. 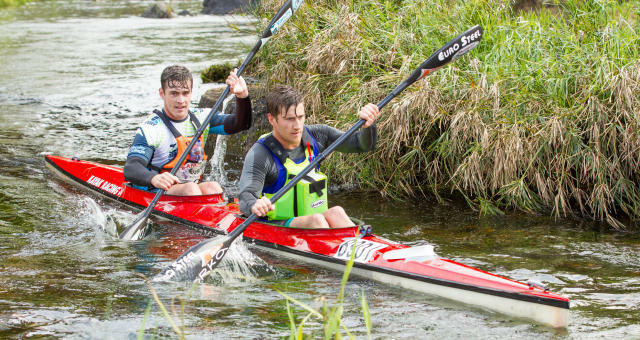 Earlier in the week the race organisers made the call to race the two-stage event over the same section of river, using the second stage from Bonnievale to Kam’Bati Resort close to Swellendam on both days, as the upper reaches of the river around Robertson are too low to be paddled. The good news for the big field is that conditions won’t be any near as tough as they were last year, when the organisers were forced to take the same decision on the race course after the winter rains failed to arrive in the catchment area. Rice, who will be partnering Stu MacLaren to defend the title they won last year, says that the low river suits where they are at in terms of training for the marathon world championships in Portugal next month. “We have been doing a lot of portage training because we have to be up there with Hank (McGregor) and Adrian (Boros) at the worlds, so it might come in handy on the weekend. “In a low river you have to be quick out of the boat to portage over a few shallow rapids, and then quick back into the boat,” he said. Rice is thoroughly enjoying his time in a K2 with MacLaren, an experience that is somewhat unusual for him. “I have hardly ever sat in the back of a K2. Stu is a great K1 paddler and I am a surfski paddler, so we tend to advise each other during a race,” he said. Rice flies to Portugal three days after the Breede for the Nelo Summer Challenge surfski race before the pair sets their sights on the marathon worlds the following week, and Rice says they are approaching the Breede as a hard training session for the upcoming internationals. “We will be there with purpose!” he said. “There are SA titles on the line, and it looks like the weather will be foul, so it will be a good tough two days. “Obviously we will try not to get hurt doing anything silly, and try not to use muscles we don’t need to,” he said. They will start the race as out-and-out favourites to retain their title, but they will be under pressure, particularly given the field that has entered and the number of unknowns on the river. Gavin White has secured the powerhouse Loveday Zondi as his partner for the race, and will be a force to be reckoned with throughout the two days of racing. 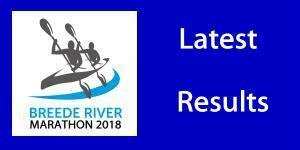 Maties paddlers Craig Heenan and Tom Lovemore will be eyeing the Under 23 prizes, and a spot on the overall podium, but they will be scrapping it out with another Under 23 crew in Anders Hart and Evan Knight, who come into the Breede having won the last build-up race last weekend. Juniors Gustav Smook and Bartho Visser will assert themselves, aiming to use their athleticism and light weight to good effect on the low river. The race sees a return to competitive paddling after a long lay-off for former marathon world champion Shaun Rubenstein, who has co-opted Eastern Cape talent Jordan Zeelie as his partner in a crew that might be light on training hours but boasts an impressive pedigree. Melanie van Niekerk will front the race for the mixed doubles title with Scheepers Schoeman, squaring up to her regular K2 partner Bianca Beavitt who is aiming for the same gold medal with her partner Crispin Thompson. Many experienced paddlers have opted to paddle with first-timers to the Breede as part of an innovative “Nurture A Novice’ project that has succeeded in boosting the number of newcomers to the sporting taking part in their first major two-day marathon. The race has a loyal following evidenced by the looming milestone for Gerfried Nebe who is starting his thirtieth Breede, and Scott Taylor, Francois Coetzer and Albert Wasserman lining up for their twentieth Breedes. Twenty K1 entries will start in their own batch, probably smug at their prospects on a low river, with the perennial late solo entry from the powerhouse Simon van Gysen topping that batch. Two brave K3s will also be starting the race, reconciled to a slow weekend to enjoy the sights and sounds of the Breede River valley.